The VIP Chef’s Table offers Chef Tasting Events in Connecticut that lends to an intimate experience of Chef Michele’s incomparable artistic style. Your private table inside the expansive chef’s kitchen is a night with culinary entertainment – an event eagerly anticipated especially by food connoisseurs. An amuse-bouche starts the evening perfectly and then the goal is to astonish and amaze you with an impeccably crafted menu. 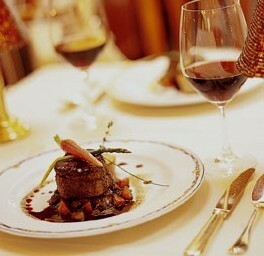 A unique multi-course meal is designed with the perfect wines matched to each delicious dish. The dining room lights are lowered and the entire kitchen, in view from the best seat in the house, becomes a magnificent stage. One of the most exciting private chef tasting events in Connecticut. Enjoy sumptuous foods, relax in a stylish atmosphere and sample a sensual symphony of flavor and artistry – lovingly created with VIP flair that never fails to surprise. Prices start at $175. per person for food and wine pairing. are by private invitation only, limited to 14 guests.